“It’s the most wonderful time of the year” says the song, but if you are alone, depressed, bereaved or otherwise distressed at this time of year, it can be pretty far from wonderful. So I wanted to open up a discussion for people from various organisations, as well as individuals or groups, that may have events coming up during the Christmas period. It would be great to hear about events that are going on during the festive season. To get the bauble rolling, her are a couple of crackers that are actually going on on Christmas Day itself. First, in Liverpool itself is ‘White Christmas’. This charity event has been going on for the last two years, and this year, like so many charitable organisations, was in danger of not being able to go ahead due to lack of funding and lack of a venue. It has just been announced, however, that The Titanic Hotel has stepped in so the event doesn’t sink. The event is free and provides a Christmas meal and entertainment for older people and people who are vulnerable. You can keep up with news, as well as booking information, more information on the venue, etc. 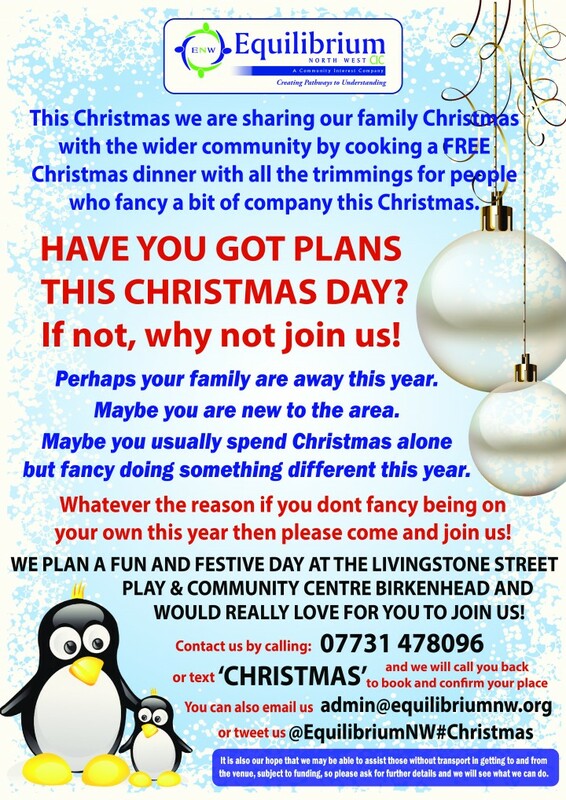 If you are in the Wirral, Equilibrium North West CIC are providing a similar Christmas Dinner at Livingstone Street Play & Community Centre, Birkenhead. Of course there are many other things going on over the holidays in the Merseyside area or Nationally. As well as Christmas meals on the day, there are many other events leading up to the holidays and into New Year. We’d love to hear about them. You can either get involved in the discussion by commenting, or email us information to go into the events calendar here. See under ‘About/Using the Site‘ for more information. 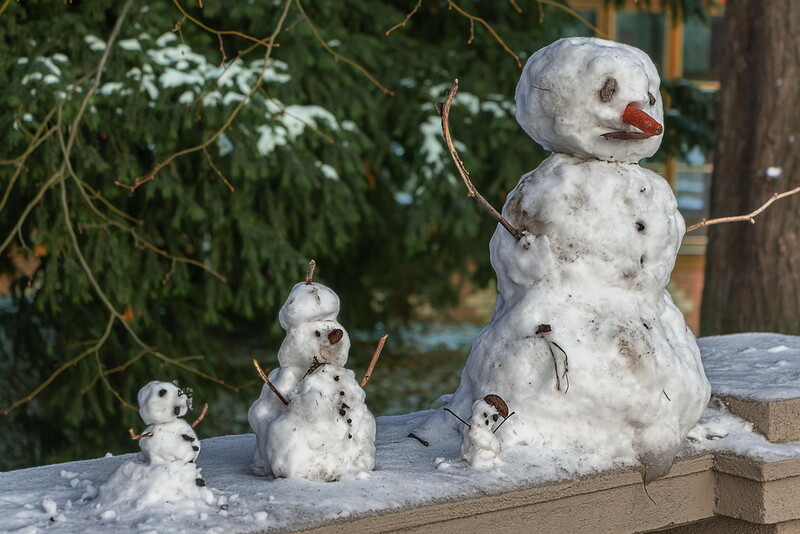 Also if you have any tips or advice for surviving the festive season alone or in distress, please share them with us. Thanks Nicky.Condolences to your friend too.